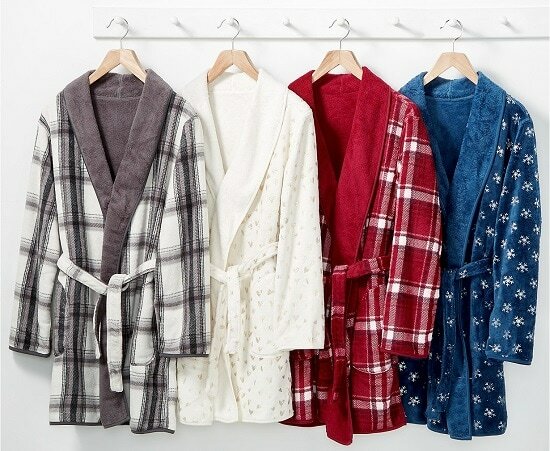 From now until Nov 11, select from several color styles of these Martha Stewart Reversible Plush Robes for only $17.99 each! The regular price is $60! Stay warm in total comfort with this luxurious reversible plush robe from Martha Stewart. Whether you’re spending a cozy night in or relaxing on a lazy Saturday morning, you’ll look great in this stylish robe. Hurry over here to make your selection! Shipping is free with orders of $49 or when you add a beauty item to your order. Where do you get the ad for that coupon!?!? Will it be at the store door or in paper?